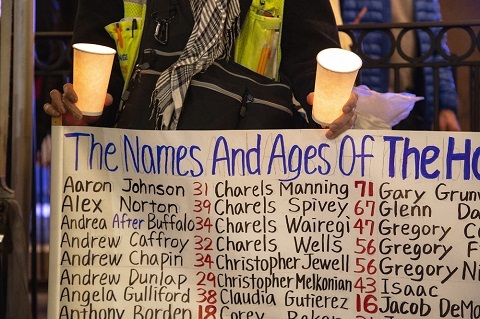 “As far as we are concerned, the INSP News Service is not just another news source. It is a window to another world,” said Chris Alefantis, editor-in-chief of Greece’s only street paper, Shedia. 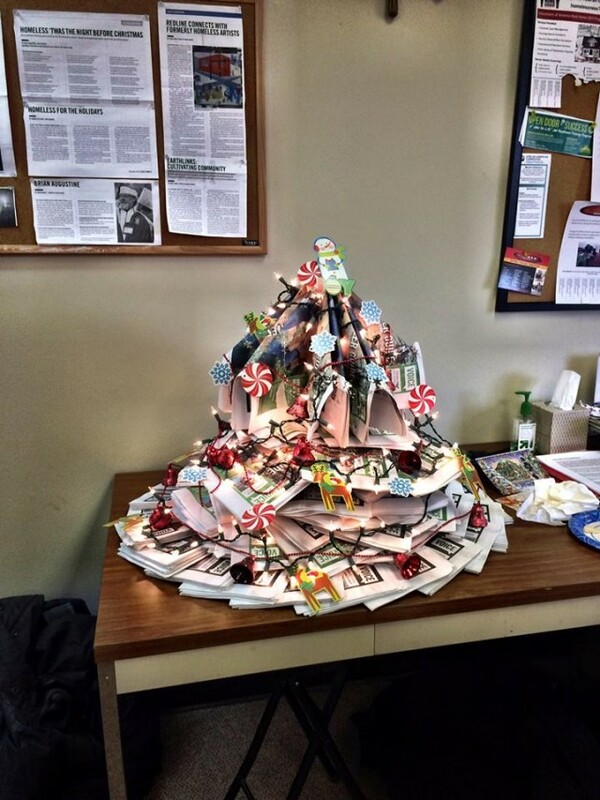 Producing a paper to deadline can be a tough ask for any publication. But that job is even harder for the world’s street papers, the majority of which boast a passionate, but small editorial team. And all of whom work on a limited budget. 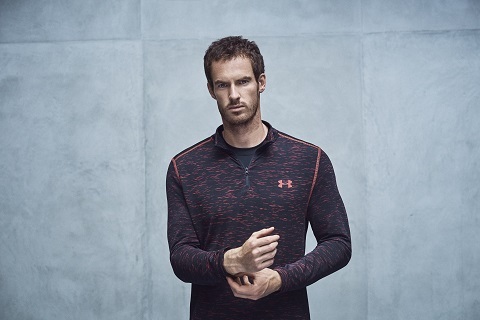 But for Chris and his fellow street paper staff around the world, producing a quality product for their vendors to sell – so they can earn an income – is vital. 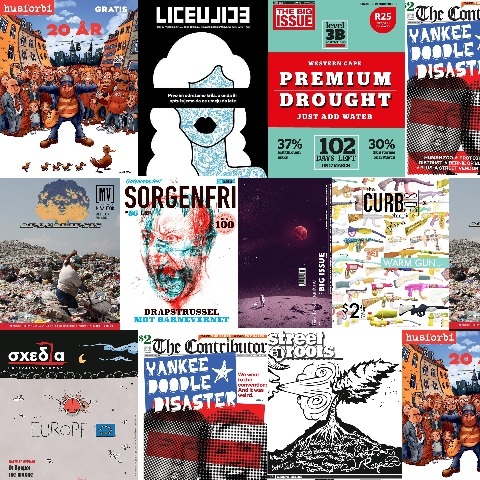 Luckily, for the last decade, the world’s street papers have had a unique news agency in their corner to provide editorial content – and all of it for free. On Monday 9 November, the INSP News Service will send out its 500th weekly edition. Arriving in the inbox of street paper editors the world over, the packed email will kick off a week of celebrations, which you can follow here on the INSP website and with the hashtag #INSP500 on social media. 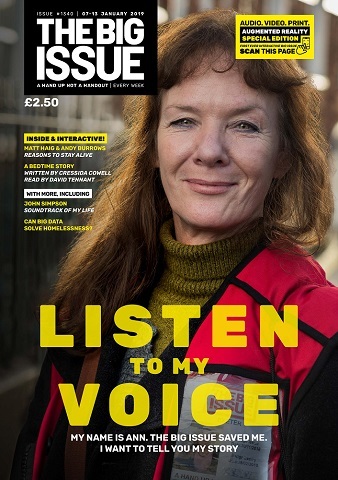 Through this free online editorial resource, Glasgow-based charity INSP gives street papers the tools to build their capacity and increase vendors’ sales. The stories on the INSP News Service cover an enormous range of subjects, from high profile interviews to hard-hitting investigations. And, of course, unique insights from the 13,000 homeless and marginalised people who sell street papers internationally. 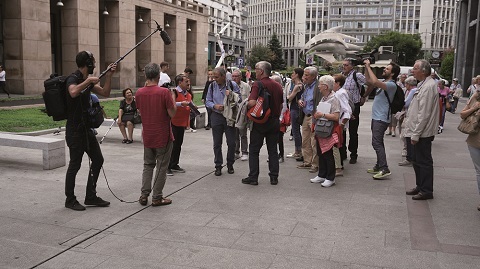 The content comes from the world’s street papers, INSP’s own editorial team and content partnerships, including with Reuters and Inter Press Service. 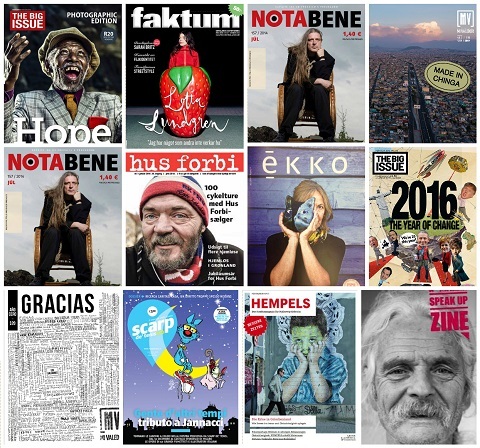 INSP is the first stop for fledgling street papers to get support, and the free content of the News Service helps many to compile their first editions. One such paper was Shedia [Raft, in English] which was launched in 2013, following the Greek financial crash. Editor Chris said that having access to the INSP News Service allowed him to create strong foundations for his publication. Early editions of Shedia featured an INSP exclusive with the Dalai Lama and The Big Issue UK’s interview with Hollywood actor Dustin Hoffman. “It provided access to big name interviews that otherwise would be very difficult for us to get. It helped us push our case as a good product. I think it sent the right messages to our new, inquisitive readers about what we are about as a magazine,” he added. INSP is thrilled to celebrate a decade of this vital editorial resource with an exclusive interview with Pope Francis. 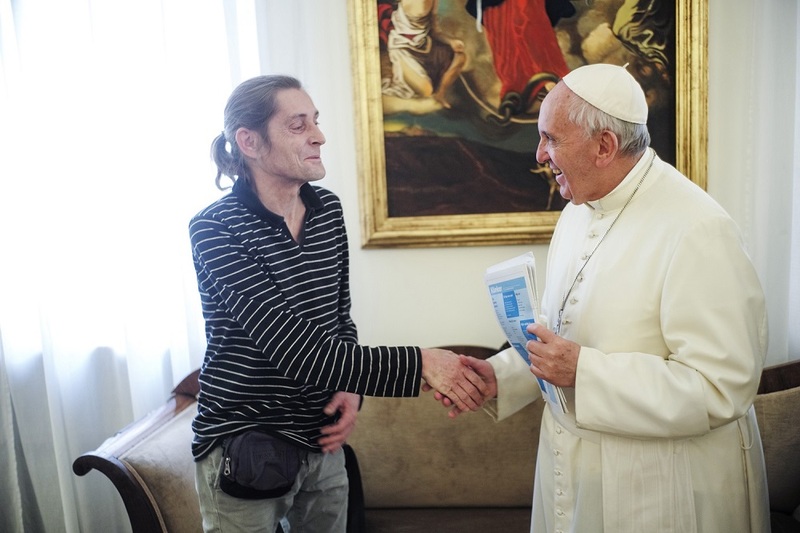 Just last week the Holy Father granted a rare private audience to one of INSP’s formerly homeless vendors, Marc, who sells Straatnieuws in the Netherlands. 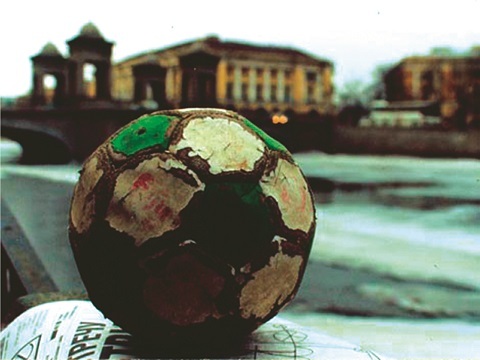 The article – in which the leader of the Catholic Church talks about his childhood in Buenos Aires, his life in Rome and his lack of football skills – is already creating a huge buzz across the INSP network. Through the INSP News Service, the translated interview is available for more than 100 street papers in 34 countries around the world to run as a cover story in their winter editions. Having access to high profile interviews is a huge benefit for street papers. In the past, the INSP News Service has secured and syndicated interviews with the Dalai Lama, Arun Ghandi and Bob Dylan, as well as exclusive work written by HRH Prince William and Scottish author Irvine Welsh. 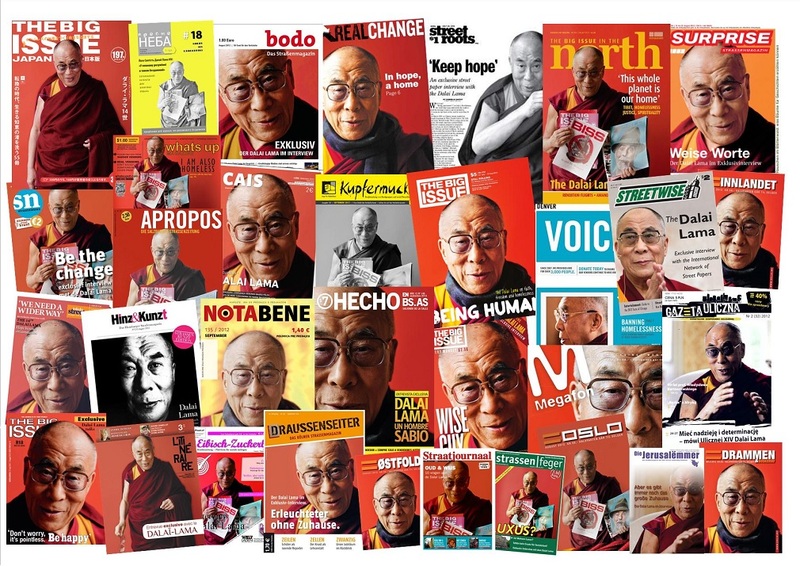 INSP’s 2012 interview with His Holiness the 14th Dalai Lama was distributed to nearly 100 street papers and put £1.1 million in the hands of street paper vendors. Beyond big name interviews, INSP News Service statistics speak for themselves. In 2014 INSP made more than 1,300 articles available through the News Service, worth almost half a million pounds. INSP’s team of volunteer translators ensured more than 200 articles were made available in 23 languages to allow for the free flow of content across the global network. A recent partnership with professional agency Translators without Borders is already boosting the network’s capacity. 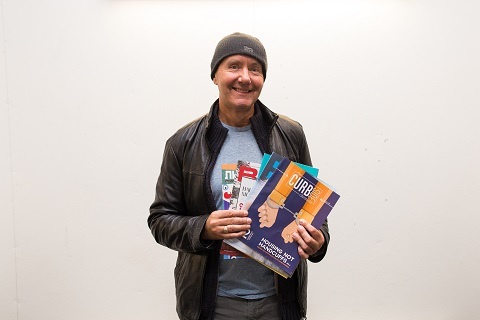 Kevin Gopal, editor of Big Issue North – a street paper sold in several large cities across northern England – emphasised how much he appreciates the service. “INSP’s news feed has proved to be a valuable resource for us throughout my eight years as editor,” he said. Eric Falquero, editor of Washington D.C. street paper Street Sense, added that he often uses the News Service to bring stories to Street Sense readers that his team could not have covered on their own, such as a recent INSP exclusive interview with American investigative journalist Dan Rather. Lorraine Pink, Editorial Coordinator at The Big Issue in Australia, said she enjoys the perspective that comes from the service. “The INSP News Service makes us feel like we are part of a bigger picture, that there are like-minded people all around the world working together to improve and provide opportunities for vendors who want to work and want to make a living,” she said. Canadian paper Megaphone’s Jackie Wong agreed. 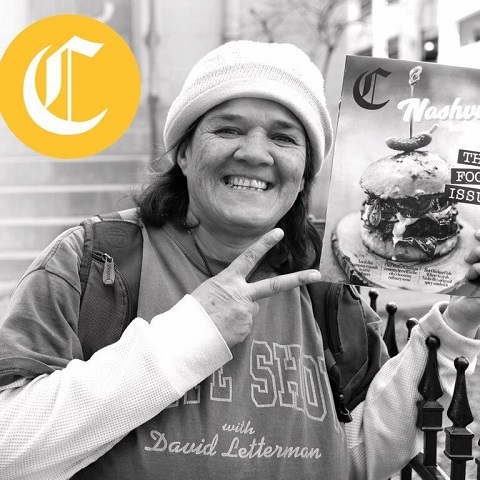 “Having an opportunity to republish stories from street papers around the world helps us articulate that Megaphone is part of a global movement,” she said. 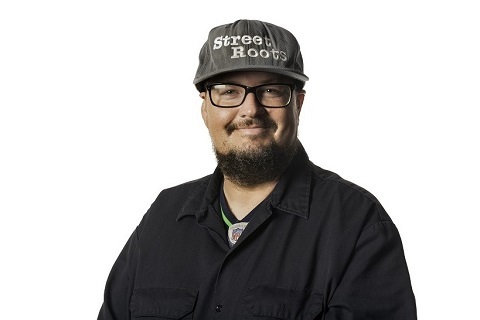 Street Roots, published in Portland, Oregon, regularly contributes to and republishes INSP News Service content. For editor Joanne Zuhl, having access to this service was especially useful when the paper transitioned from publishing fortnightly to weekly. “For us, having access to great profiles and voices from around the world means our coverage can be more diverse and compelling, and our sales stay strong,” she said. “Like most street papers, we operate on a tight budget, with our focus on vendor sales to help people in poverty and homelessness. Having the additional resource for the newspaper lets us focus on our mission, and still provide a great product to keep readers coming back for more. When copy falls through and a deadline is looming, street paper staff often turn to the INSP News Service to plug gaps in their upcoming issues. “INSP’s News Service has been hugely helpful when it comes to filling gaps in our editorial calendar,” said Denver Voice Editor Sarah Harvey. Street papers often produce international round-ups using content sourced from the INSP News Service. These highlight reports from other street papers and also help to spread the word about the global street paper movement. Papers that regularly run this popular feature include Sorgenfri, in Trondheim, Norway; L’Itinéraire in Canada; Greece’s Shedia; Austrian street paper Apropos and The Big Issue Japan. 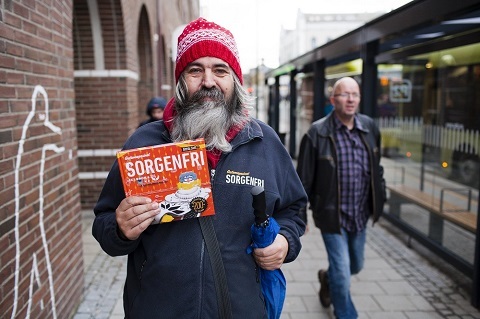 “Since Sorgenfri went monthly in October 2010 we have picked two to five articles from the INSP News Service each month. 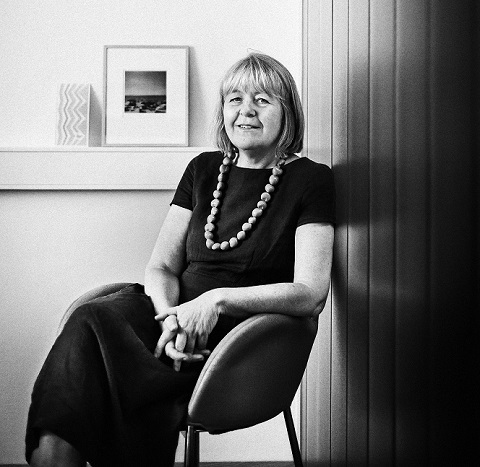 We present short extracts of the original articles with photos on a double page. 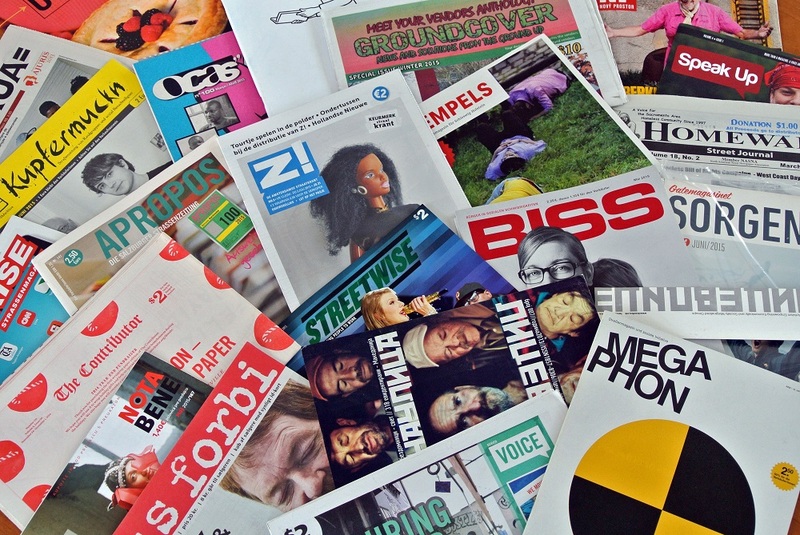 This is capital stuff for us,” said the Norwegian street paper’s editor Dag Rønning. Dortmund street paper bodo is one of 19 INSP members located in Germany. 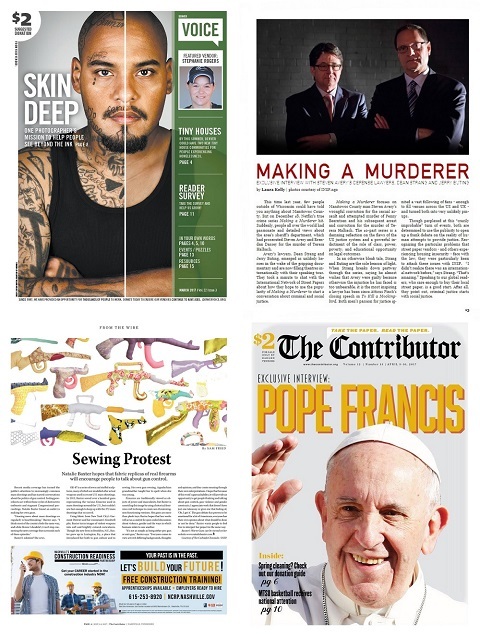 In its July edition, bodo used content produced by INSP and its fellow street papers to create a global news issue. 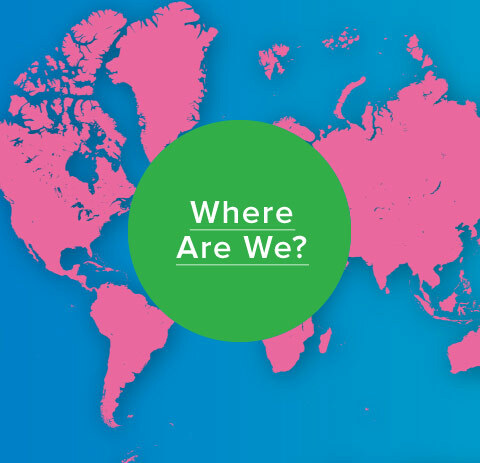 “To see that we are many worldwide is encouraging and informative as well,” said Antje Mosebach, a member of the bodo editorial team. INSP’s Maree Aldam said that she is proud of the international impact of her small team in Glasgow, supported by street papers, volunteers and partners. 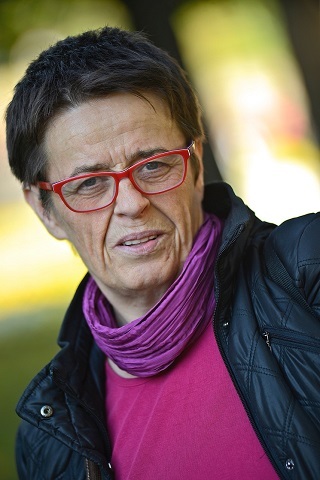 “INSP is indebted to all its members, media partners and volunteers for their continuing efforts to help make a difference to the 113 street papers around the world who gain support from the INSP News Service,” she added.